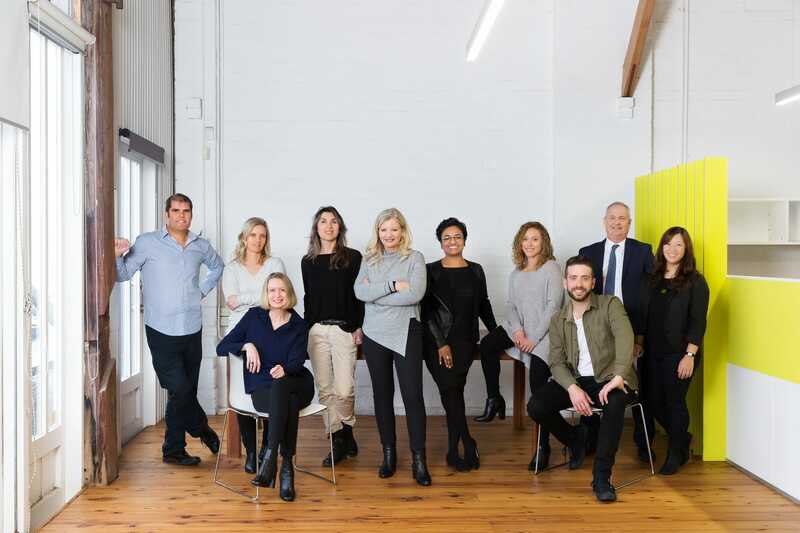 With 25+ years of experience under her belt and a dream team around her, Jennifer Gilmore has led Gilmore Interior Design to be what it is today: a force to be reckoned with in Aged Care Design. In this quick chat, Jennifer gives us an insight into her experience, the challenges in the industry and other learnings she’s had along the way. Tell us a little about your journey as an Interior Designer over the years. After graduating I worked overseas in London for a year for a small design firm doing luxury houses and health spas which was great experience and a lot of fun. On return to Australia I accepted a position as an Interior Designer for a large architectural firm in Sydney. My experience gained working with Architects encompasses commercial fit-out, luxury residential, hotels in Australia and overseas and healthcare projects in Australia and overseas. I always find inspiration by travelling to different countries, experiencing different cultures and different approaches to design. Also I find inspiration through my interest in Art and artists in different medias. How do you stay up to date with all design trends? I always keep up with what is happening through reading articles and magazines, and also by seeing all of the new products that are presented to us by suppliers. Visiting trade shows is also a fantastic way to keep up to date. GID has, overtime, become a specialist provider of Interior Design for Aged Care facilities. What are the common challenges faced in Aged Care developments? Common challenges are downscaling an institutional sized building into more personal and residential scaled environments. Another challenge is detailing areas to take a high level of use, and still look good years down the track. And what is special about the work you do? The fact that we get to design interiors in aged care and healthcare environments that can have a very real influence on the health and wellbeing of the inhabitants. Getting to create something on paper and then experiencing it being built. What is the secret to creating timeless, comfortable and high quality spaces? Good planning, great lighting, attention to detail overlayed with appealing colours and textures. How do you manage to run a design studio, being highly involved in all projects and finding time for yourself? I have a great team that supports me in the business. Take advice- I have a great business coach. We have systemised as much as possible the production of work. Make space for the personal time and it will happen. How long did it take you to build your ‘dream team’? Having being in market for over 25 years, what changes have you observed in the Industry? The access to information is so much quicker, and the variety of materials to work with is much, much greater. The speed of transfer of information also brings with it different expectations around the speed of delivery of work. The 3D rendering technology has advanced dramatically and now virtual reality is creating a greater opportunity to experience spaces before they are constructed. What advice would you give to someone wanting to become an Interior Designer? It’s a wonderful area to work in as there are so many different aspects to interior design that you can specialise in. So research the area of interior design that you think you are really interested in. 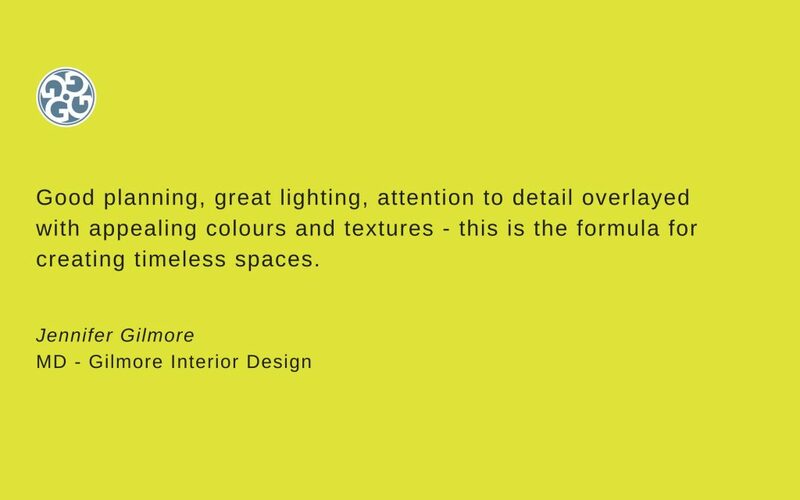 Click here to read more about Gilmore Interior Design.